Business Insider points to a Bloomberg bulletin indicating that a UK judge has ruled Apple must display on its UK website and in British newspapers a notice acknowledging that Samsung did not copy the design of the iPad with its Galaxy Tab 10.1. 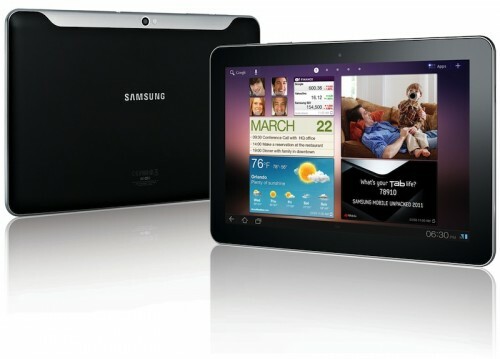 The UK court had previously ruled that the Galaxy Tab did not infringe upon Apple's design, with the judge observing that the Galaxy Tab 10.1 is simply "not as cool" as the iPad. According to the news flash, Apple will need to post the notice on its UK website for six months. Apple can presumably still appeal the ruling, although that information has not yet been disclosed. We'll update this article once the full Bloomberg report is available. Update: Bloomberg's article has gone live with additional details on the situation. The notice should outline the July 9 London court decision that Samsung’s Galaxy tablets don’t infringe Apple’s registered designs, Judge Colin Birss said. It should be posted on Apple’s U.K. website for six months and published in several newspapers and magazines to correct the damaging impression the South Korea-based company was copying Apple’s product, Birss said. Samsung had also requested that Apple be barred from making public statements claiming that the Galaxy Tab had infringed upon the iPad design, but Birss ruled that Apple is within its rights to make such claims in line with the company's belief that the ruling is incorrect. Before the iPad, tablets sucked. After the iPad, everyone well... er... copied the iPad. Lol I bet Apple will include that 'not as cool as iPad' somewhere in their mandatory notice..
Is this judge actually serious ? Why not have Apple hire someone to walk around in front of Apple Stores with a sign that says the same thing. That's just as stupid as this "ruling"
Apple maybe should have toned down the media bashing and libel against Samsung if they didn't want to have to do this. You know, wait until a court has decided something before you go make claims of "blatant copying". Look how much it's been picked up by people, now Apple have to undo the damage and injury they caused with their unfounded accusations. Good for the judge. There has to be consequences to keep things transparent and grounded. I don't understand this at all. Unless Apple was previously asserting on their website that Samsung was copying the iPad, I don't see how they can force them to even mention another company in that way. Seems silly to me. Thanks Ziggy! Sometimes you need an info graphic. Love it.